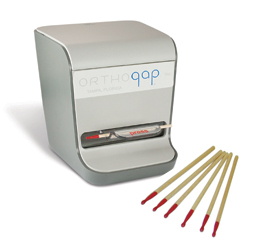 Orthodontic Product Development - Orthogap, Inc.
Our company was formed in 1993 to identify and bring to market unique products for the orthodontic profession. Our products are not directly involved in the mechanics of moving teeth. We focus on ideas that increase efficiency and reduce risk to both patient and staff. Our innovative products compliment the current product lines of our distributors, with the ultimate goal of expanding their customer base. Please contact us with any questions you may have regarding our product line.